People narrowly escapes death when the cliff collapses at the beach of Zakynthos shipwreck on Thursday morning. 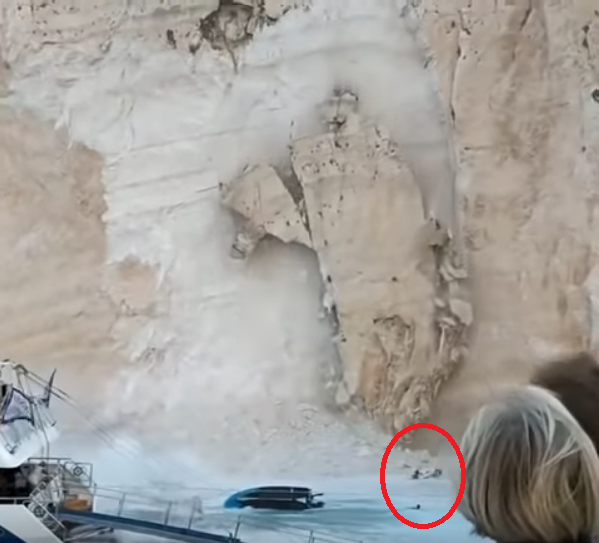 Three people sitting on a boat seem to escape the rock slide in the last moment. A woman tries to hold on an overturned boat. A man tries to reach her but nature strikes with full power. The nightmare takes place in front of hundreds of shocked tourists. Many are shooting videos with their mobile phones. 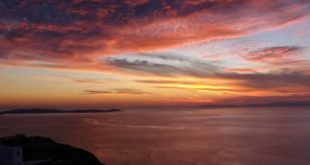 It took just a couple of minutes to turn the careless hours spent at the beach of Navagio shipwreck on the island of Zakynthos into a nightmare. Hundreds of tourists are watching the cliff collapsing, the landslide coming down from a height of 60 meters. As time goes bye more and more videos from the dramatic moments on Thursday morning are uploaded on social media by people who were at the beach of Zakynthos shipwreck. The landslide from above after all tourists were moved away. 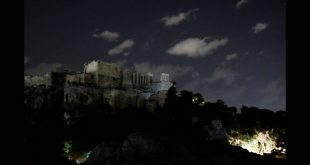 It was a miracle nobody was seriously hurt, Greek media comment. One 34-year-old Czech national remains in hospital with a wrist fracture. Even though slightly hurt, her husband and two children were hospitalized too for preventive reasons. They were in a boat that overturned when the landslide came down. They were rescued by another boat anchored nearby. Another four people were taken to the hospital as well but released after receiving first aid mostly for bruises. After the shock, boat owners counted the passengers they had come with. Nobody was missing. However, rescue teams with dogs and divers kept searching for several hours at the accident site, just for the case some tourists who had come with private boats were under the rocks or in the sea. The cliff collapsed at 11:15 on Thursday morning at the famous beach Zakynthos Shipwreck in front of the eyes of hundreds of careless tourists many of them with children. 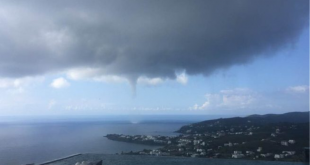 The power of nature caused turbulence in the sea and overturned three boats. 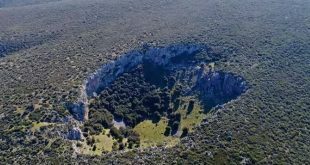 Cliff collapses are normal in the area, Greek experts said stressing that the beach of Zakynthos shipwreck was formed because of landslides and cliffs collapses. For the time being no boats are allowed to sail in the area.